Upstate Golisano Children’s Hospital opened in 2009, with the mission to provide safe, effective, innovative and family centered care for children in the Central New York region. 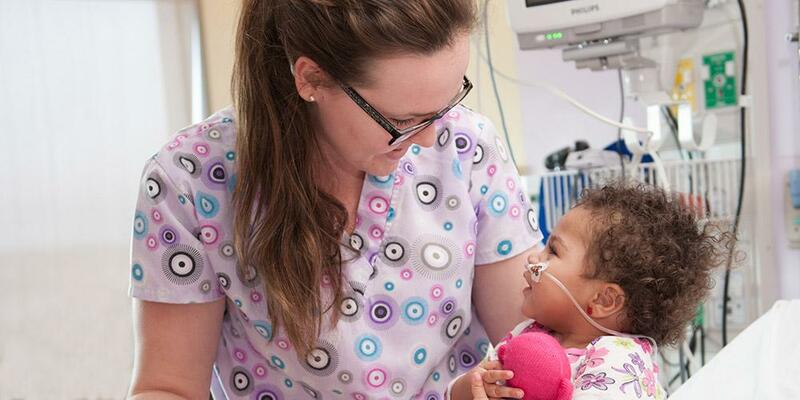 Today we serve children and families across 17 counties and treat over 100,000 pediatric encounters per year. As the Region’s only Level 1 Trauma and Burn center, Upstate offers a complete range of health care services for children from birth to 19 years of age. Our dedicated pediatric providers and staff care for patients in an inpatient setting that consists of General Pediatrics, Pediatric Surgery Unit, Hematology/ Oncology, and the only Pediatric Intensive Care Unit in our large referral area and the only dedicated pediatric Emergency Department between Rochester and Vermont. In addition, the Children’s Hospital offers full spectrum of ambulatory services including primary care and several nationally recognized specialty medical care programs. The Upstate Golisano Children’s Hospital mission continues to strive to promote wellness and safety for children and families in the communities we serve.